The human body needs thirteen different vitamins to function and protect itself from diseases. Ideally, your diet should provide you with the vitamins and minerals that your body needs. However, a diet that is too poor in vitamins or an inability to absorb vitamins can result in a deficiency. Here is what happens if your diet is too poor in Vitamin E.
Vitamin E is a natural antioxidant. This vitamin plays a crucial role in supporting a healthy immune system. 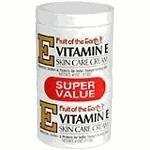 Vitamin E eliminates free radicals that can cause damage to cells. Free radicals can accelerate aging and have been linked to cancer and other health conditions. Besides protecting your body from free radicals, Vitamin E is believed to help reduce inflammation and clotting. There are many other benefits associated with Vitamin E. This vitamin can neutralize the free radicals that oxidize cholesterol and help maintain healthy cholesterol levels. 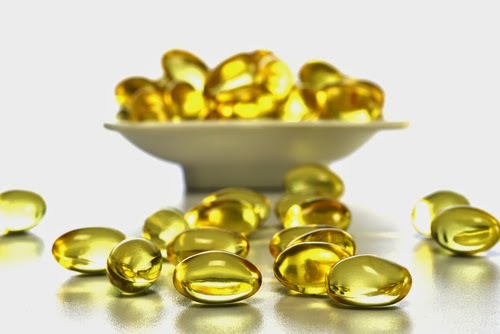 Vitamin E can also be applied topically to help repair damaged skin. This vitamin promotes hair health and can help with hormone balance and PMS symptoms. A diet rich in Vitamin E will help maintain good eye health and promote strength and muscle health. This vitamin is also important during pregnancy since it helps with fetus development. 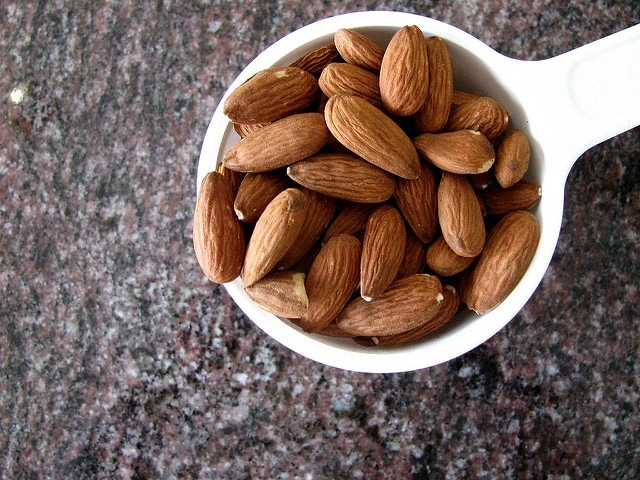 What Is The Recommended Vitamin E Intake? The ideal Vitamin E intake depends on your age. The recommended intake is the same for men and women. Babies only need four to five milligrams of Vitamin E a day. A toddler would need 6mg, while a child between the ages of four and eight needs 7 mg a day. Pre-teens need 11 mg of Vitamin E a day, and teens and adults need 15 mg a day. The recommended daily intake of Vitamin E doesn’t change during pregnancy, but breastfeeding mothers will need at least 19 mg a day. What Does Vitamin E Deficiency Look Like? You should know that Vitamin E deficiency is not common. This vitamin is present in a wide range of foods and is even added to some foods like breakfast cereals. Vitamin E is a fat-soluble vitamin. This means Vitamin E is stored in your fat reserves and becomes available when you burn these fat reserves. Your body will still get Vitamin E as fat reserves are used even if you haven’t had any foods with Vitamin E recently. It is possible to experience a Vitamin E deficiency if your diet is unbalanced, or if your body is unable to absorb vitamins. Changes in vision, including a narrow field of vision or blindness. Issues with walking and coordination. Because Vitamin E plays a crucial role in supporting a healthy immune system, you would be likely to develop a health condition if your diet was too poor in Vitamin E.
Some Vitamin E deficiency symptoms are more serious than others. Symptoms such as liver and kidney problems or dementia won’t appear until you have a severe deficiency. You would notice other symptoms such as fatigue and muscle weakness before other serious symptoms appear. Note that some health conditions increase your risks of suffering from a vitamin and mineral deficiency because they affect your ability to absorb fat-soluble vitamins. These conditions include pancreatitis, Crohn’s disease, short bowel syndrome, and cystic fibrosis. How Is A Vitamin E Deficiency Diagnosed? Many of the vitamin E deficiency symptoms listed above are associated with other health conditions. These symptoms won’t be enough to get a diagnostic. You will need to get some blood work done to determine if you suffer from a Vitamin E deficiency. Getting some blood work done should be a priority if you experience any of the symptoms mentioned above. A lack of Vitamin E can either be caused by an unbalanced diet or by a health issue that is preventing your body from properly absorbing vitamins. You will probably suffer from deficiencies in other vitamins and minerals. It is also possible to experience a deficiency in fat-soluble vitamins such as Vitamin E if your diet doesn’t contain enough fat. This is an issue you might experience if you have adopted a vegan or vegetarian diet. Vitamin E refers to a group of eight different vitamins. These vitamins vary in their structure but their purpose is the same. These eight vitamins are antioxidants. Ideally, your diet should include these eight forms of Vitamin E. These different forms target slightly different types of free radicals. The eight forms of Vitamin E can be organized in two groups. There are four tocopherols and four tocotrienols. Each group includes an alpha, beta, gamma, and delta form of the vitamin. Alpha-tocopherol is the most effective antioxidant and is the form that is most easily absorbed by the human body. Most supplements use this form of the vitamin. Your diet should include a wide range of grains, fruits, and vegetables so you can get the eight forms of Vitamin E. Pay attention to the form of Vitamin E used in the supplement you take since you might need to introduce new foods to your diet to get a wider range of Vitamin E forms. 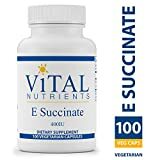 If you have adopted a vegan or vegetarian diet, it might be difficult to absorb and retain enough Vitamin E to meet your daily requirements because these diets tend to be poor in fat. You can correct this with foods rich in healthy fat, such as avocados, nuts, olives, and flaxseeds. Cook with vegetable oil whenever you can. Meeting the daily recommended intake of Vitamin E shouldn’t be difficult as long as your diet is healthy and well-balanced. Half an avocado represents 14 percent of your daily recommended intake. A papaya would represent 17 percent, while seven ounces of almonds represent half of the amount of Vitamin E you need in a day. Wheat germ oil is probably the best source of Vitamin E. One tablespoon is enough to exceed your daily requirement. Remember to eat different grains, nuts, seeds, fruits, and vegetables to get the eight different forms of Vitamin E. Vitamin E is also added to some products such as juices and breakfast cereals. You should check the labels of the products you buy to make sure you are getting enough Vitamin E.
You can correct a Vitamin E deficiency with a supplement. It is important to get some blood work done first since you will probably suffer from deficiencies in other vitamins and minerals if your diet lacks Vitamin E or if you are unable to absorb this vitamin. Multivitamins and Vitamin E supplements either include synthetic vitamins or natural extracts from plants rich in Vitamin E. If a synthetic form of the vitamin is used, you will find the letter d before the name of the vitamin. For instance, alpha-tocopherol would become d-alpha-tocopherol. Synthetic and natural vitamins will help correct your deficiency and can be absorbed by your body. However, manufacturers need to add an acid to extend the shelf life of Vitamin E and keep it stable. Acetate and succinate are the two most common acids used to stabilize and preserve Vitamin E. This is why supplements will list ingredients such as alpha-tocopherol acetate. Adding acid can damage some forms of Vitamin E.
If possible, take a supplement that contains tocopherol succinate since this is a form of Vitamin E that becomes a more effective antioxidant when exposed to acid. You should also look for a product that contains tocotrienols and tocopherols to get more variety. Help bring vitamin E into and across cell membranes. Does not contain preservatives, diluents, or artificial additives. If you want to use a cream or lotion that contains Vitamin E to repair damaged skin or get rid of wrinkles, look for a product that contains acetate rather than other acids. If you have dry skin, it would be best to use a product that contains linoleate or nicotinate instead. Naturally strengthens skins structure and helps improve its appearance. A multivitamin will typically contain 20 mg of Vitamin E. A Vitamin E supplement can contain anywhere from 70 to 700mg. You should avoid high doses of Vitamin E if you need to take an anticoagulant medicine. You should also know that Vitamin E levels can increase to toxic levels if you take more than 1,000 mg a day over the course of several months. Vitamin E deficiency isn’t common, but it can happen if your diet is not well-balanced or if you are unable to absorb vitamins due to a health condition. 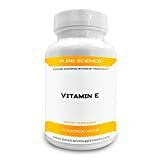 You should get some blood work done to determine if you suffer from a Vitamin E deficiency and make some changes to your diet or take a supplement.